My new mouthpiece Syos gives me a perfect balance of sounds, with a great power in the acute, medium and severe registers, it also offers me a flexibility that allows me to shape my timbre on occasions to play different genres, this is a mouthpiece that makes more easy work when it comes to playing my sax. Francisco Quintero is a Venezuelan saxophonist, Lic in Musicology, with studies in the Music Conservatory of the city of Maracaibo-Venezuela, as well as classes with recognized masters of his pee also plays the clarinet, is a versatile musician who has worked with artists such as Oscar De Leon, Fernando Villalona, Milly Quezada, Ronald Borjas, Wilfrido Vargas among others. 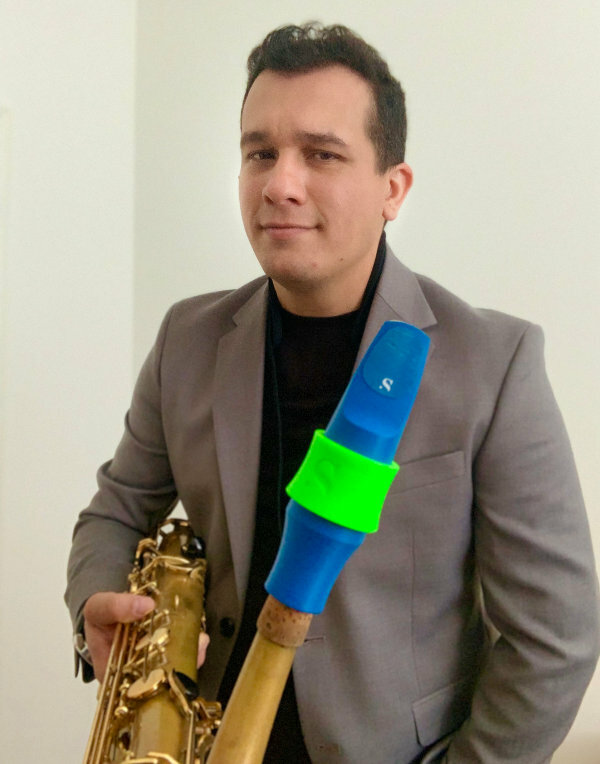 He is the founder and member of Big Band Macbo, the first Big Bnad of Jazz in his hometown, performing concerts at Casa Llena on repeated occasions, currently he is in Miami as the main saxophonist of singer Ronald Borjas and with his main solo project of fusion.